Japan’s Nuclear Regulation Authority (NRA) approved this week the restart of two nuclear reactors at Sendai in far southwestern Japan (Reuters) The agency said. The reactors are both 890 MW PWRs completed within 15 months of each other in 1984 and 1986 respectively making them approximately 28 years old. This number is crucial because it is well within the 4o year lifetime envelope that appears to be well on its way to defining the lifecycle limit for the rest of the nuclear fleet. At the same time the Japanese government may ask four of the nation’s nuclear utilities to decommission a total of seven reactors out of 48 remaining available for restart. The units in question were all built between 1970 and 1975 which makes all of them members of the 40 plus club. The move to shut them down appears to be a two-part political calculation. First, PM Abe wants to show he is committed to decreasing the country’s dependency on nuclear power. Second, the political calculus is that a red line of 40 years, at the end of their initial license for most of Japan’s reactors, may save the younger reactors while sacrificing the older units to expediency. The government’s 40 year red line was established in summer 2013. The affected utilities have been told they can apply for 20-year license extension if the reactors meet certain safety requirements. However, the government is also offering financial incentives to these utilities to make the decision for decommission less of a hit on the balance sheet. Of the nation’s 48 reactors, 18 are more than 40 years old. Japan’s nuclear utilities have applied to restart 20 reactors. The utilities will have to weigh the cost of safety upgrades for these older units against the the expected revenues of another 20 years of power generation. Of the seven units potentially on the chopping block, five are quite small by 21st century standards, and may not be worth the investment to apply for license extension. It isn’t clear how much the government will pay, or provide as tax breaks, as incentives to take the units permanently out of revenue service. All of Japan’s nuclear utilities have already taken huge hits in terms of revenue due to the shutdown of their reactors between 2011 and 2013. Another factor these utilities must consider is that local communities in Japan have enormous influence in the restart equation. Even if the plant operators make millions of dollars in safety improvements, political considerations could prevent the upgraded reactors from being restarted. While local communities that benefit from jobs and grants from nearby reactors support them, the further away you get, the hotter the opposition to restart becomes and it is a national issue. PM Abe’s cabinet ministers have traveled the country saying, among other things, that the decommissioning decision is up to the utilities, which is a political fig leaf, and that no new nuclear reactors will ever be built in Japan, which is unlikely. The Nuclear Regulation Authority has on its plate decisions whether to complete several reactors that were under construction or authorized to be built as of March 2011. 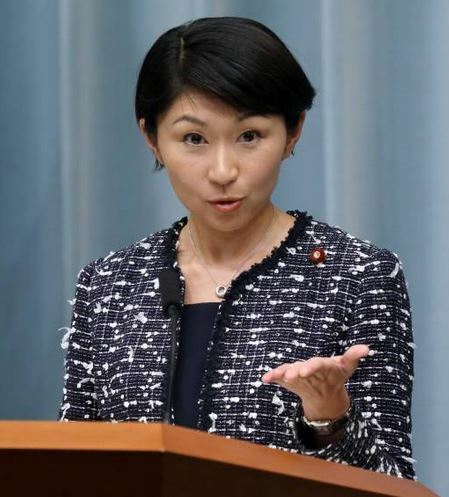 Yuko Obuchi, the METI minister, has the job of convincing local communities to restart reactors verified as safe by the NRA and to arm twist the nuclear utilities to close the 40 year or older units. Obuchi has no technical background, but she was born in 1973 as the daughter of former Japanese prime minister Keizo Obuchi. She is the youngest person to hold the METI job and the first woman to do so. The utilities have until July 2015 to decide whether to apply for the 20 year license extensions. Overall, a total of 12 reactors will reach the 40 year mark in the next five years. Nuclear industry analysts have predicted that as many as two-thirds of Japan’s remaining useful plants may never restart. This outcome, if it occurs, will significantly impair the country’s economy and force some major heavy industry firms to move their plants offshore where they can get reliable electric power. Vietnam, which is becoming an industrialized country, has plans to build as many as eight 1000 MW reactors to attract manufacturing facilities and their economic benefits. 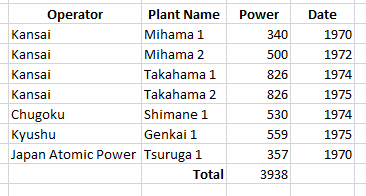 Of special interest to Japan’s manufacturing sector is the fate of the 8.2 Gb of power represented by the seven nuclear reactors at Kashiwazaki-Kariwa. Built between 1985 and 1997, they are all well within the 40 year limit. Six reactors at Fukushima were damaged beyond repair in March 2011 and the government suspended operations, perhaps permanently, of four BWR type reactors (4.4 Gb) at Fukushima Daini. These units were not significantly damaged by the earthquake and tsunami of March 2011 and were built between 1982 and 1987 making the oldest of them 32 years.